Are you a busy person who can’t find the time to improve your smile? Guess what? It may not take as long as you think. The Lewisville Dentist can restore missing, cracked, or discolored teeth, sometimes in just one visit. We have been seen the results of neglected teeth and gums. Dental health is linked to overall health, so getting them back in shape can do a worldof good. Don’t let your smile deteriorate any longer. Are you missing a tooth? Ask us about dental implants. These are lifelike artificial teeth surgically implanted in your jaw. They look and function like natural teeth. One dental implant can support a single artificial tooth. Several can support a set of dentures. Since dental implants fuse with your jaw, they help prevent bone loss and gum recession. 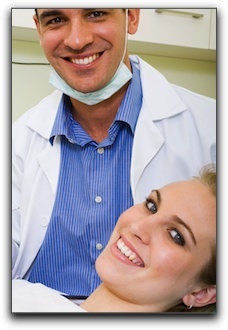 At The Lewisville Dentist in Lewisville TX, we provide a full range of family dentistry services. Call our office today to schedule your next cleaning and checkup.